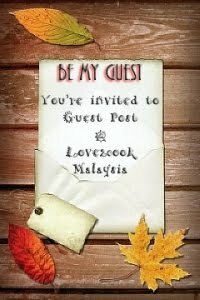 ♥ LOVE2COOK MALAYSIA♥: 3rd Blogoversary GIVEAWAY by Love2cook Malaysia...GA CLOSED!!! 3rd Blogoversary GIVEAWAY by Love2cook Malaysia...GA CLOSED!!! Hola! My blog celebrated it's 3rd Birthday recently and here's a GIVEAWAY in conjunction with this milestone celebration. This would be my 2nd Giveaway after a tremendous GA 2011 . Hope to receive your overwhelming response and participation this year too. Who won my goodies last year? See the WINNERS! Of course, simple T&C applies. Please follow strictly in order to participate. The Giveaway is open to bloggers and readers residing in Malaysia & Singapore ONLY. Be my blog's Public Follower via Google Friend Connect (located under my blog header). "Like" my FB Page LOVE2COOK MALAYSIA (if you have a Facebook account). Leave your name together with your blog link (if you have one) at the comment space under this post only. Mention 'JOIN' if you are participating. (pls do not repeat your entries). Send in your entries by 4th July 2012, 12:00 midnight Malaysian time. 2 selected winners will be announced after draws via random.org. Winners to contact me via email providing full name, mailing address and contact number within a week from date announced. Failing to do so, another winner will be chosen. P/S : There'll be regular updates on the participants list in this post. Stay tuned! Missed my 3rd Blogoversary post? JUST CLICK ~> 3RD BLOGOVERSARY AND FEATURED IN SAJI, JUNE'12 EDITION! Hi Love, thanks for the giveway. hai love..nk join tp kite ni jauh sgt222 huuhh..neway happy bloggersary yer..
weee~~~~~~~~~~~~~` tun nak JOIN jugak!! walaupun tun xpenah lucky bila ada lucky draw.. hihi..
Congratulations dear,, wish i still lucky this time, hehehe.. Cheers to you!! (am raising glass of champagne!! haha!) Wish you the start of a wonderful new blogging year! I'm definitely JOIN in the giveaway. Thank you! Feliz aniversario que sigas cumpliendo muchos más y muchas bendiciones,yo también cumplo 3 años de blog,saludos y abrazos hugs,hugs. Nur pun naik JOIN.. Mana tahu bertuah..
Hi Love.Congratulation... Happy Blog Anniversary!! Hi lovely sis... I would love to JOIN too. mokwo pun nak join jugak...hepi 3rd blogoversary and many2 congrat on u featuring in Saji. HAPPY 3RD BLOG ANNIVERSARY SRI!!! Hey Dear, Congrats! Couldn't visit you often and leave comments these days..quite busy with the lil one..hope your son and daughter are doing good. Selamat ulangtahun blog yg ke 3 love..
p/s: I've read the colum about you in Saji'Jun mag.. Baca masa cuti sekolah ari tu lagi tp tak dpt nak online sbb balik kg.. Dah tau rupa you...Tahniah yer jadi penghias majalah! Hi..congrats on ur blogerversary.... JOIN. DEAR FRIENDS, THANK YOU FOR JOINING MY GIVEAWAY. KEEP WATCHING MY SPACE FOR WINNERS ANNOUNCEMENT!!! Congrats on you achievement... I am doing good dear.. how are you? I want to thank you for visiting my site Anna's Table and joining as a follower. I really appreciate your support. Your visit allowed me the opportunity to discouver your wonderful blog. I am looking forward to sharing recipes. Also, heartfelt congratulations on your third anniversary. thanks for your sweet feedback in my space dear..
love your awesome presentation & interesting writeup..